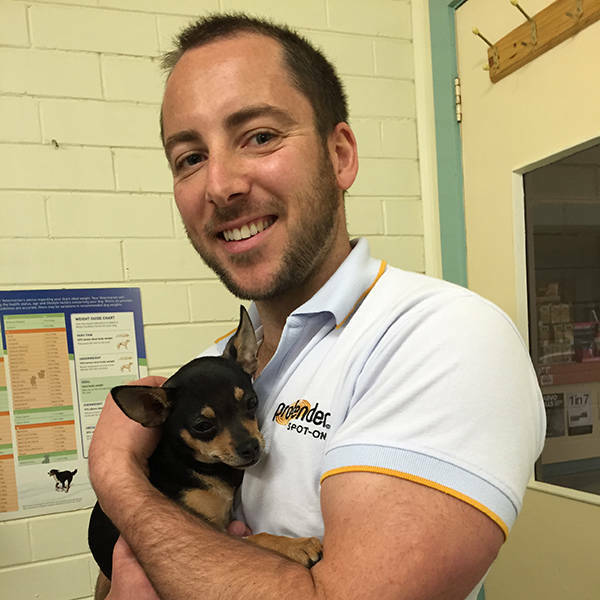 One of his clients said: "Dr Jared has been our vet for over 7 years now; he has been there for us through many ups and downs. Jared is just so friendly and charismatic, I truely believe Australia would fall in love with his compassionate and enthusiastic nature and his passion for caring for animals!" Jared is an amazing, fun, caring vet. He always works so hard for the best outcome for every animal. He is also very funny with a great sense of humor. Because he works with large and small animals, I am certain there would be plenty of entertaining stories! I thank divine providence that Dr Jared was recommended to us as our Vet. His outstanding knowledge and amazing manner with animals & their owners sees us drive past many vets and numerous towns to have him look after us. He absolutely loves his job and it shines through brightly. As long as I have known Jared he has always had a passion for working with animals. His kind nature really shows when he shares his work. Jared for BV! Jared's caring nature and professionalism is wonderful!! I have been completely thrilled with all my interactions with him - cannot recommend him highly enough!!! Jindie and Flinn used to get highly anxious visiting the vet, but since I changed clinics and now have Jared looking after my babies, they are a lot more relaxed......and so am I! I am 60 yrs old as a client had a lot of experience with vets. Jarod is recently new to Mondeo (horse ) and marlee (dog).He is one of the best l have dealed with. Compassionate /caring/thoughtful a heart of gold.A very unique and wonderful vet. Dr Jared did such an amazing job looking after our oldgirl. And even when we lost her he was so gentle and caring with her which was great to see. And a couple of weeks after she had passed away we got a lovely card from Jarad and the team. My name is Max and would just like to thank Dr Jared for looking after me even though I'm a little bit crazy. His passion and love for animals is second to none I would rate rate him as a five star person and vet. Jared certainly does have super powers, especially when it comes to our budding Biodynamic/Permacultural farm. We provide Jared with a range of symptoms given the diversity of the farm ; he is always able to diagnose, treat precisely to ensure his patients have a speedy recovery.